Found this critter exploring the core of a dead tree in Jackson Park. 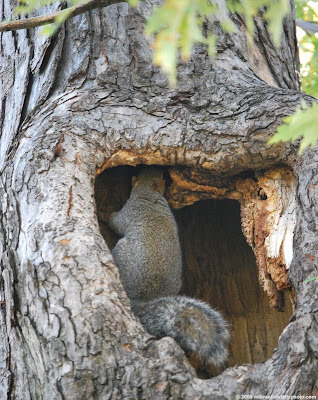 I don't know if he was checking out a possible new home or if he was just making sure that no one was raiding his stash of acorns. LOL, you were at the right place at the right time, great photo.